We have recorded so many cool experiences with this blog through the years. And this weekend will be no exception! 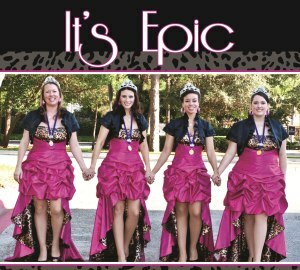 We have had a busy couple of months with a growing Epic family. Baritone Kris welcomed the beautify baby Claire in early May and we were FINALLY allowed to share the good news that bass Shana is going to have a baby boy (first name Kenshin … pronounced Ken-Sheen) about a month before we head to Windsor for IC&C!! We have been rehearsing–juggling sick kids, dental work, ill parents and breast feeding sessions (always interesting with us!) to get ready for this weekend. 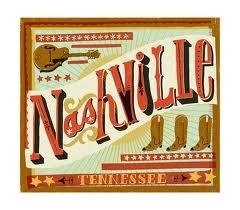 We are heading to Nashville, Tenn., to record our first album!! Why Nashville? A few reasons, actually. First and foremost, one of our fave arrangers, Larry Wright, lives there. And he happens to have a recording studio. And he happens to have a son who is a recording engineer. And he happens to have a really nice wife. And he happens to have a talented daughter who has made us several learning tracks. Then there’s also the fact that our coach, Richard, has experience producing an album in this exact studio because he helped our buddies, Shameless, record their first CD last summer. So, sure, there are closer recording studios, but this one was the one for us–no question. And lord knows that three of the four Epics do NOT enjoy flying so picking the Wright studio over something local shows how right it felt in our collective gut. So welcome to Epic’s recording journey! Be sure to follow our blogs this weekend… we’ll keep you posted on our progress and we’d be happy to answer any questions you have! And we’re not the best at keeping secrets so you may get some sneak peeks on NEW SONGS we have brewing :-).